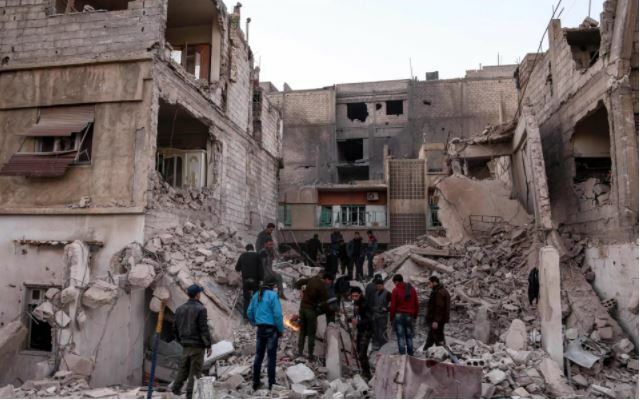 Syria is suffering one of its bloodiest weeks of the nearly seven-year war as government and Russian jets pound rebel-held areas, with the United Nations saying it will “no longer stay silent”. Hundreds of air strikes have hit the besieged Damascus suburb of Eastern Ghouta and the northwestern province of Idlib in the last few days alone as Bashar al-Assad’s regime drastically escalates its campaign to reconquer opposition territory. More than 110 civilians were killed in Eastern Ghouta on Monday and Tuesday, including 43 women and children, and a further 23 on Wednesday.